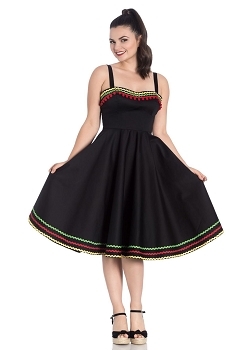 Looking for pinup dresses and rockabilly styles in plus sizes? You have come to the right place! We carry many of our styles in sizes from 2X - 6XL and if we don't have your size in stock, feel free to contact us and we can often order it. Our vintage-inspired clothing will have you flaunting those curves! From fun and flirty swing dresses straight out of the 1950's, to silhouette hugging pencil and wiggle dresses reminiscent of the glamorous 1930's, We have what you need to look and feel you pinup best. Our plus size selection features loads of choices from timeless to B-movie funky, All with great quality craftsmanship and at the prices you love. 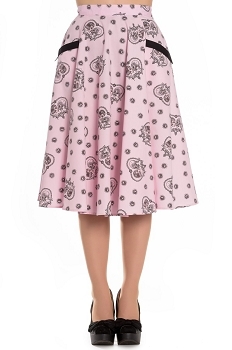 Shop Jackdaw Landing's collection of plus size pin up styles now!